In 2000 The Freddy Jones Band went on hiatus. During the ten previous years of recording and touring, the band had amassed a body of work that included five albums of ambitious, wide-reaching rock and a reputation for expansive and energetic live shows that made the quintet a hot commodity on the tape-trader circuit. And now the Freddy Jones Band is back and reminding the world what was so special in the first place. 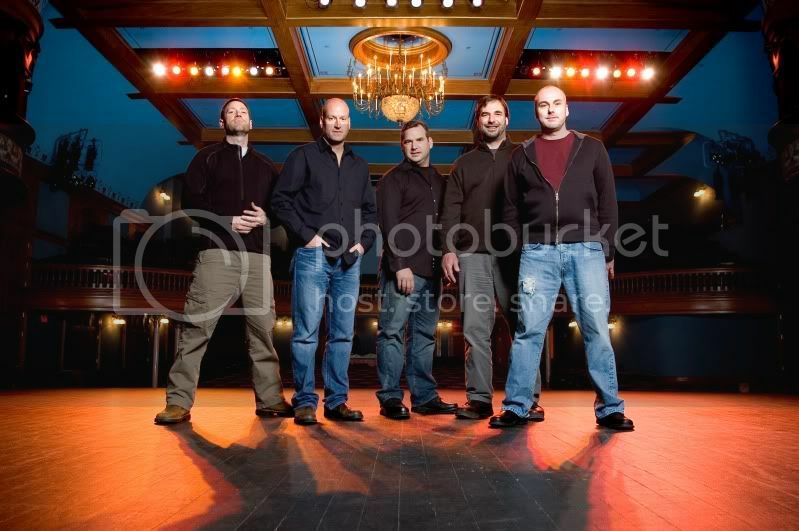 The group's original lineup—singer-guitarists Wayne Healy, Marty Lloyd and Rob Bonaccorsi, bassist Jim Bonaccorsi and drummer Simon Horrocks—reunited in the summer of 2005 for a charity show in it's former home base of Chicago. Now the FJB is playing for keeps again. Tell me about how you originally got into your craft, Wayne. I had a group of childhood friends and we loved music. We went to Aerosmith & Ted Nugent concerts. My uncle ran the International Amphitheatre in Chicago when I was growing up. I went to every concert there for about 10 years and met tons of musicians, from Blue Oyster Cult to the Rolling Stones. This made a big impression on me and led me to guitar lessons. My older sister also had a great record collection and always let me play her records, from Jackson Browne to the Allman Brothers to Elton John. She had good taste in music. The biggest challenge in running our band currently is scheduling since we are not a full time touring act any longer. Everyone has families and full-time day jobs so we have to schedule conference calls to discuss members' availability. My band started in Chicago and [the city] really supported us. We played every weekend before we began traveling throughout the midwest and the folks just always came out to see us. I will always love Chicago. Hopefully I will be able to play music until I am very old. It is a gift to have a true passion. You can check the Freddy Jones Band out at thefreddyjonesband.com and Amazon, and if you're in the area be sure to go see them live Sunday, August 30 at 3rd & Lindsley in Nashville.